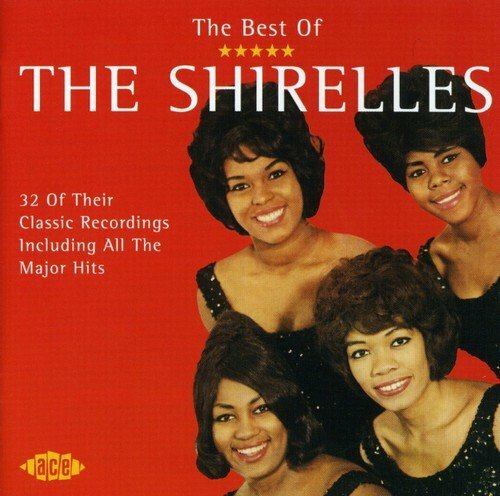 One of the dreamiest sounding of all the girl groups, The Shirelles were the first in the genre to hit the No. 1 slot with the all-time classic Will You Love Me Tomorrow. The Gerry Goffin-Carole King masterpiece was only one of many now universally popular songs the group recorded. Also here are Dedicated To The One I Love (later recorded by The Mamas & Papas), Boys, Baby It's You (both covered by The Beatles), Tonight's The Night, Mama Said (covered by Dusty Springfield), Soldier Boy (No. 1 in 1962) and 27 others! The group's five Top 10 entries, five further Top 40 placings and numerous smaller chart forays made them one of the most successful female groups, rivaled only by Detroit's Marvelettes, Vandellas and Supremes. Most of The Shirelles recordings were produced by Luther Dixon and they worked with the cream of writers, producers and arrangers on the New York Scene of the early 1960s. Leiber and Stoller, Van McCoy, Bert Keyes, Teacho Wiltshire, Ed Townsend and Burt Bacharach. The names speak for the quality of the recordings. Spin this little silver disc, drift off back to the 60s and dream on! If you have any questions about this product by Ace (Label), contact us by completing and submitting the form below. If you are looking for a specif part number, please include it with your message.